Time has been tight lately, so the things I've been working on are those which I can spend 5-10 minutes on, then step away for a few hours or days, then come back and work on for another 5-10 minutes. I finally finished a commission that I've been [i]slowly[/i] working on for a few months. I also started on some terrain a week or two ago. Finally finished today, with the addition of the grass flock. Inspired to get back to the Marienburg/Wasteland theme a bit. 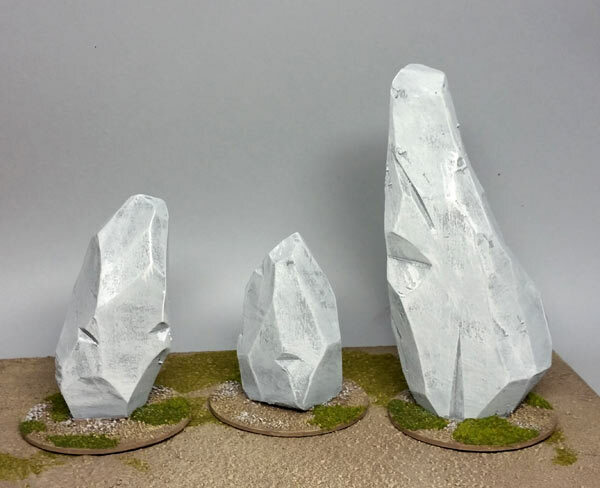 I would really like to do some larger terrain, but can't manage to get the hour or so I need during daylight to go outside and make a mess with a saw, file, and sander outside to make the hardboard bases. Plans include larger marsh/swamps, river & road sections, and a tumulus. 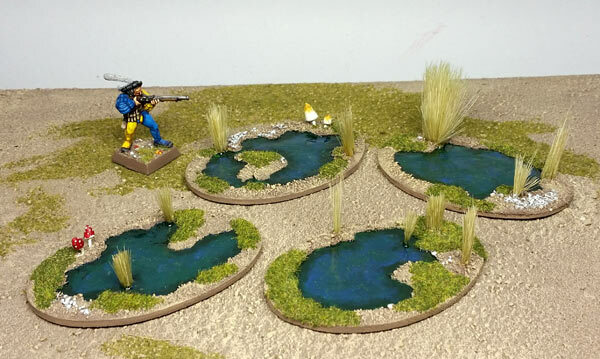 And lastly, more progress on making a few new movement trays at a time. 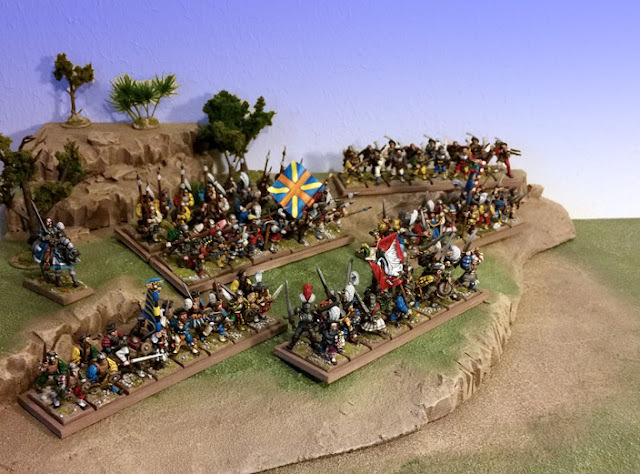 I am starting to regret not putting a metal or magnet-receptive material on the trays as I did with the older WFB sized trays. The standard bearers like to tip over a bit too much. 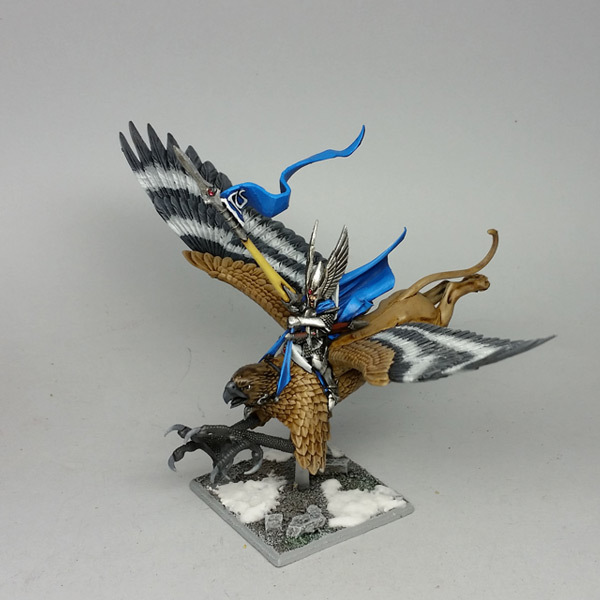 Great work on that griffon! I got one from ebay a while back, and still have not decided on mounting an Empire hero on it, or painting as is. Like those swamps too, good space fillers, that prompt different tactics than walls or hedges. Thanks! 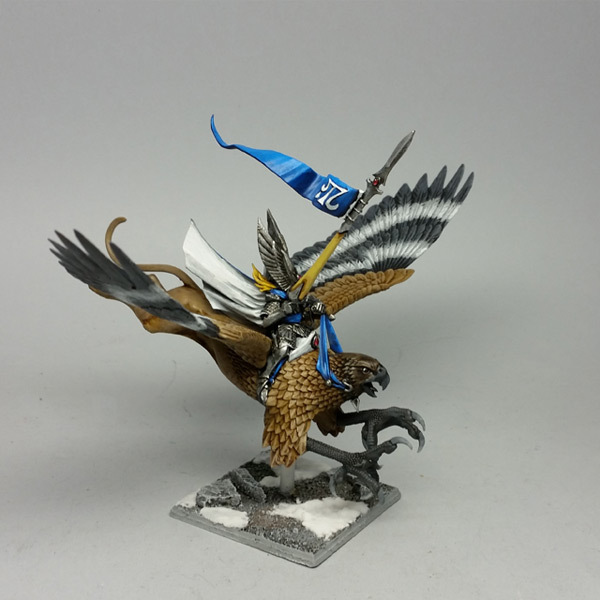 I really like that griffin model, and I'm tempted to try to find one to convert to an Empire rider.